CARFAX 1-Owner, GREAT MILES 37,665! FUEL EFFICIENT 33 MPG Hwy/26 MPG City! EX-L trim. Moonroof, Heated Leather Seats, iPod/MP3 Input, Bluetooth, CD Player, All Wheel Drive, Aluminum Wheels, Satellite Radio, Back-Up Camera SEE MORE! Leather Seats, Sunroof, All Wheel Drive, Heated Driver Seat, Back-Up Camera, Satellite Radio, iPod/MP3 Input, Bluetooth, CD Player, Aluminum Wheels, Keyless Start, Dual Zone A/C, Smart Device Integration, Heated Seats, Heated Leather Seats. MP3 Player, Keyless Entry, Privacy Glass, Steering Wheel Controls, Child Safety Locks. 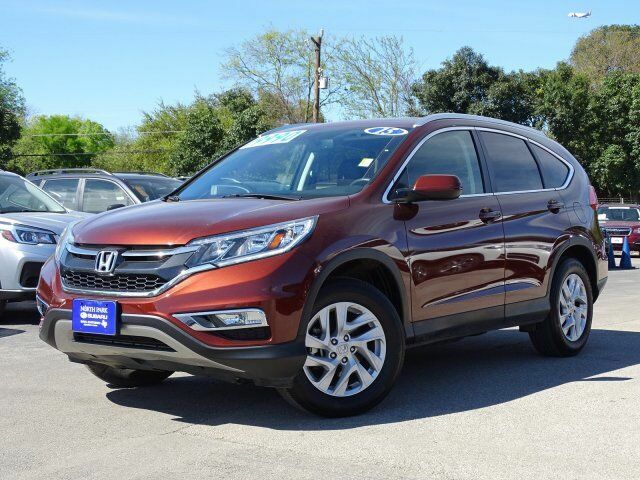 Honda EX-L with Copper Sunset Pearl exterior and Black interior features a 4 Cylinder Engine with 185 HP at 6400 RPM*. "Exceptional fuel economy; abundant passenger and cargo room; nifty self-folding rear seats; appealing tech and safety features." -Edmunds.com. Great Gas Mileage: 33 MPG Hwy.